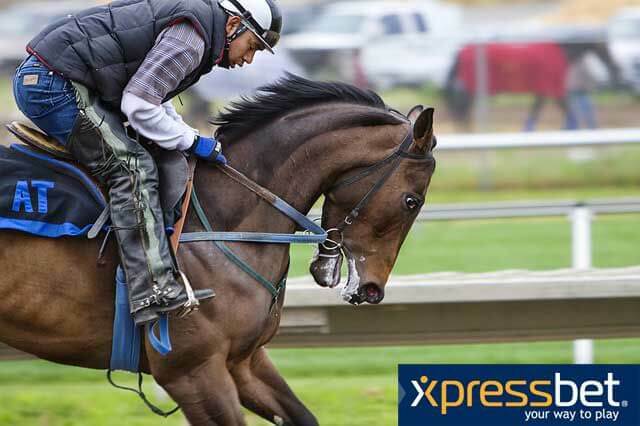 Xpressbet is a US-based online and offline betting platform that focuses exclusively on horse racing, offering markets on thoroughbreds, quarter horses and harness racing. Customers are able to wager on markets at over 300 racetracks worldwide through a variety of platforms, including a world-class website, innovative mobile app and telephone betting. In this Xpressbet review, we’ll take a closer look at Xpressbet’s products and services, ranking each between 1-5. The table below summarizes our view of Xpressbet’s main features. A competitive welcome bonus offer greeted us while compiling this Xpressbet review. In order to receive a $100 Xpressbet welcome bonus, new customers must deposit funds of any amount and wager $100. Once the $100 wagering threshold has been reached, and provided this occurs within the first 30 days of customers signing up, $100 free wagering credit is accessible the following day. This wagering credit can’t be withdrawn, but gross winnings derived from it can. New customers can also earn an additional $25 welcome credit by using the Xpressfund service to fund their accounts. The Xpressbet Rewards program provides bettors with the opportunity to earn rewards points for every dollar wagered, which can then be transferred into wagering credit. Certain promotions offer rewards points boosts when bets are placed on specific races. At the time of writing this Xpressbet review, 5 rewards points for all bets placed on the company’s customer appreciation day were being offered. Customers should monitor the Xpressbet website to stay updated on the regularly updated list of rewards points promotions. Customers that entice friends to sign up with Xpressbet are eligible for a $50 referral bonus. The process is straightforward, this Xpressbet review found, but does require new customers to wager $100 within 30 days of signing up before those that referred them receive the $50 bonus. Customers that refer friends to the service must have an account that is in good standing, and also need to complete an XB Friends online enrollment form, available via the Xpressbet website. Perhaps the strongest aspect of this promotion is that existing customers are eligible for unlimited referral bonuses. As already mentioned in this Xpressbet review, customers can bet on thoroughbreds, quarter horses and harness racing at over 300 racetracks worldwide, which paves the way for a host of betting options. Just about every racetrack in the United States and Canada is covered, while markets on racetracks in Australia, New Zealand and France were also open at the time of writing. However, due to large fields in some races in the United Kingdom, Xpressbet does not cover all UK racetracks. In terms of the types of wagers available, Xpressbet offers most of the bet types found track side, as well as exotic wagers such as multi-leg bets, trifectas, supertrifectas and picks 3-6. This Xpressbet review anticipated finding some of the most competitive horse racing odds when scouring through Xpressbet’s markets and, for the most part, this expectation was met. Comparative to TwinSpires and TVG, Xpressbet’s odds represented strong value on race cards at Santa Anita and Miami Valley, often producing longer fixed-win and place odds on some of the favorite horses. While some odds did lag behind TwinSpires for most races on the card at The Meadows racetrack on the same day, the overall spread of odds were still very competitive. There are lots of positives about the Xpressbet mobile app, along with one glaring negative. Let’s start this section of the Xpressbet review with the good: silky design, smooth navigation, straightforward deposit and withdrawal methods, an innovative wagering pad and an integrated live video streaming module. All of these positive are undone, somewhat, by the Xpressbet app being available exclusively to iOS users, who can download it from Apple’s official iTunes store. Bettors with Android mobile devices will have to settle for accessing the mobile version of the Xpressbet site through their internet browsers. Xpressfund, a free service that allows customers to transfer money between their checking and Xpressbet accounts, is the most efficient, convenient and cost-effective way to deposit funds. Credit and debit cards, PayPal, MoneyPak, PayNearMe, wire transfer and checks are alternative methods of funding accounts, but often come at a cost, such as the $5 service fee for a debit card deposit we encountered during this Xpressbet review. Wire transfers are only free when the deposit amount exceeds $250, with the customer incurring a $5 fee otherwise. Withdrawal methods are not as expansive, but all are free. Xpressfund is again the best option and funds the customer’s personal bank account immediately, provided they have previously made an Xpressfund deposit. Customers can also choose to withdraw by check or PayPal. While all of our queries during this Xpressbet review were handled diligently by Xpressbet’s customer service department, it must be noted that there is a shortage of mediums through which to contact the company. Namely, the absence of a live chat facility on the website is unusual. Furthermore, the FAQ section of the website was not as thorough as some of its competitors. Customers can call Xpressbet 10:30am-11pm US Eastern time daily on 866-889-7737 from the US, or 866-901-2315 from Canada. Email queries should be directed to [email protected]. Written queries can also be sent via mail to: Xpressbet, LLC, 200 Racetrack Road, Building 26, Washington, PA 15301. 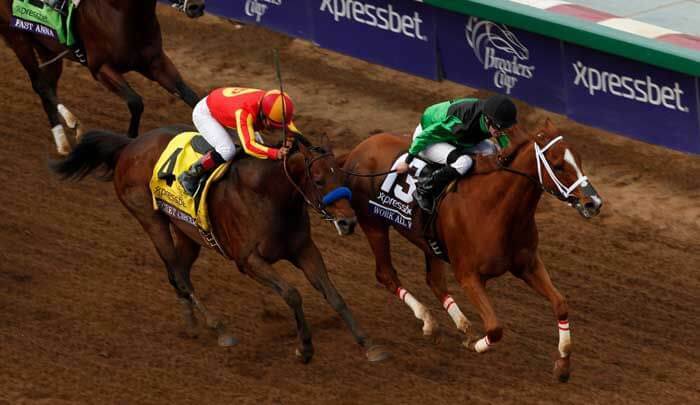 A recently upgraded video streaming service allows account holders to watch races from across the US. Additionally, an extensive library of free video replays is also available and can be accessed directly in the race program or through search from the replay archive. Accessing both live vision and replays was quick and came without any technical issues during this Xpressbet review. There was much to like about the various products and services we encountered while compiling this Xpressbet review. The referral bonus scheme is alluring for existing customers, while a rewards program, strong mix of betting markets and competitive odds also justify Xpressbet’s standing as a market leader. While there are concerns about a lack of contact methods for customers to direct their queries through and the absence of a mobile app for the Android mobile operating system, the overall verdict is that customers can enjoy a highly convenient and enjoyable betting experience with Xpressbet.